We are getting to know this family in Brentwood, Essex very well. 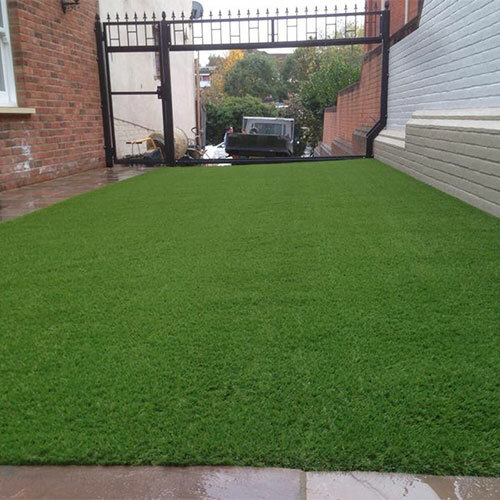 We have already installed grass for this customers’ parents and sister in the last couple of years. It’s great when we get recommendations as it means we know we are doing things right and our reputation means the world to us! 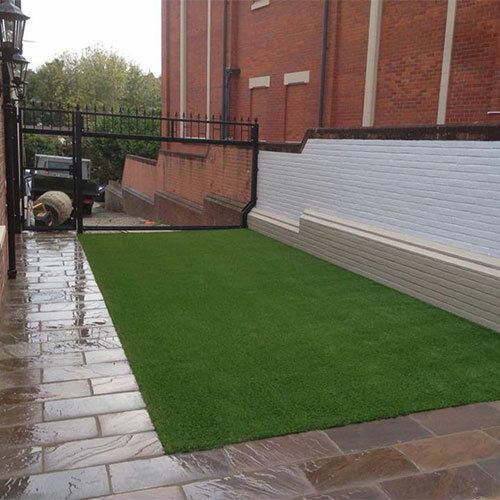 Essentially the customer was looking for a safe and pleasant play area for a small child and obviously it had to look good too. 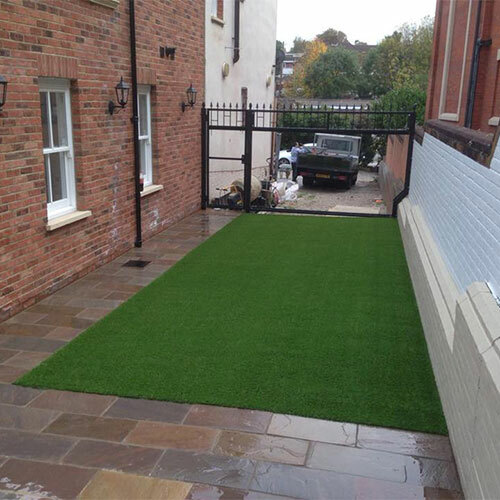 A new Indian sandstone patio had recently been laid and new gates were being fitted. 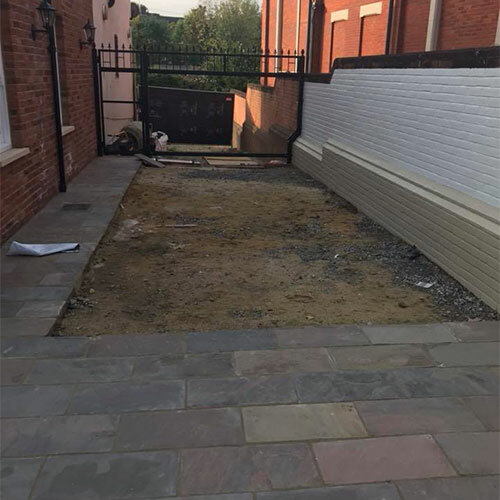 The customer had already prepared the area by digging out the grass and top soil which mean’t we could go straight into adding the base of Type 1 aggregates and granite dust. 3×2 timbers were concreted in place and the Knoll grass attached. This grass has a fantastic realistic colouration and very soft fibres for the little ones to play on. We are now waiting for the next family member to call!